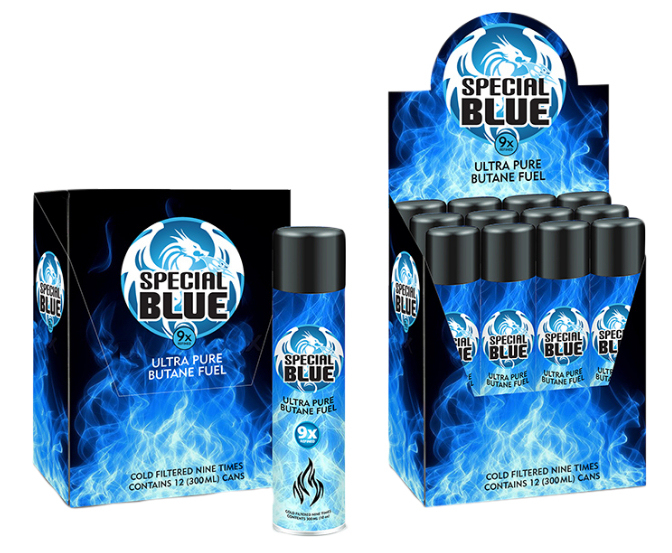 Special Blue extra purified butane lighter refill gas is manufactured in South Korea’s state of the art butane factory. It meets both ISO and TUV regulations, and is sold with a lifetime warranty. Also available in a 540-mL can, the largest can out on the market.